Two days later Norfolk Police gave him “suitable words of advice” after he was pictured driving without a seat belt. 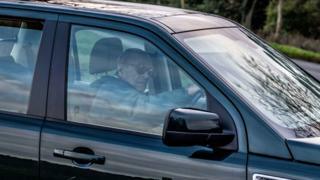 Norfolk Police confirmed that the duke had surrendered his licence to officers and it would now be returned to the DVLA. The investigation file for the collision has been passed to the Crown Prosecution Service. The duke wrote to a woman injured in the crash, which happened on 17 January on the A149 near the Queen’s country estate. He escaped injury, but Emma Fairweather, a passenger in the Kia, broke her wrist. The Kia was carrying three people, including a nine-month-old baby boy, his mother who was driving and Ms Fairweather, 46. In the letter to Ms Fairweather, dated 21 January, the duke acknowledged the “very distressing experience”. “I would like you to know how very sorry I am for my part in the accident,” he wrote, on Sandringham House headed paper. Ms Fairweather had previously criticised the duke for a lack of communication following the crash. The duke suggested that he did not see the Kia because of bright sun. After the crash, Royal biographer Hugo Vickers told BBC News: “Any kind of car accident at the age of 97 is likely to produce shock. “Some years ago he gave up flying planes long before he needed to because he was scared that if something happened there would be a lot of criticism. “You know, why was he, at the age of 55, still flying a plane when he should have retired at 48 or something like that. 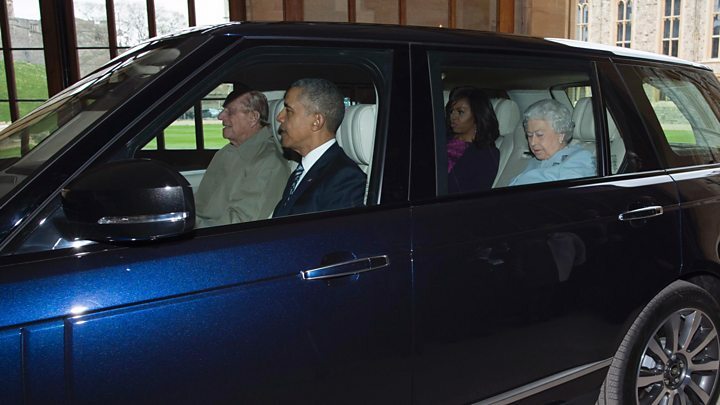 In 2016, the duke famously drove the Obamas when the then US president and First Lady visited Windsor. Prince Philip retired from public life in August 2017 having spent decades supporting the Queen and attending events for his own charities and organisations. Buckingham Palace calculated he had completed 22,219 solo engagements since 1952. Since retiring from official solo duties, he has appeared in public alongside the Queen and other members of the Royal Family at events and church services.